Many customers’ favorite Subway deal just got a little pricier with the famous “$5 Footlong” price officially raised to $6 Feb. 4 because of production cost increases and low sales. Several faithful Subway customers tweeted their frustration about the end of the sandwich deal, which famously launched in 2007 as an affordable, healthier option during the recession. Many college students said they have been fans of the $5 deal for several years because of its affordability and large portion of food. The relatively minor increase in the price may drive some people on a budget away from the subs. Students at California Baptist University said they relate to the upset customer tweets, as they too are fans of the classic footlong deal. Despite the popularity of the deal, Subway has experienced a 3 percent drop in sales since 2014, when it was discovered that a chemical used to make yoga mats, azodicarbonamide, was found in the bread. 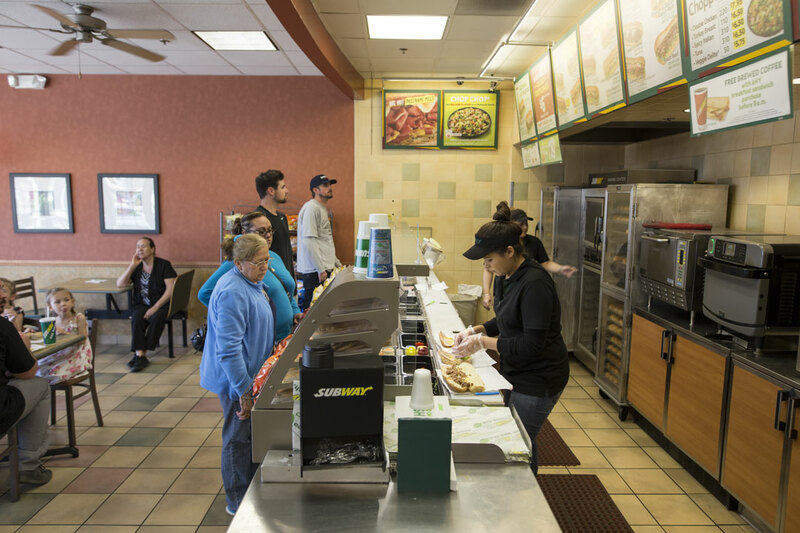 Subway has since eliminated the chemical, but the chain has still been affected and sales have gradually declined. In 2015, longtime spokesperson Jared Fogle was removed from that role after facing several legal charges. Although he was not as heavily associated with the brand as he was in years past, the accusations still had a negative effect on the Subway franchise. Many people tie Fogle and Subway together since he became the spokesperson for Subway back in 2000. He is famously known for losing over 200 pounds eating at Subway. “The controversy with Jared damaged Subway sales even though it’s not Subway’s fault,” said Cameron Young, senior biology major. Subway has since cut all ties with Fogle and has had no choice but to raise the price of the footlong to $6 because of the other negative financial effects. The chain will soon try to balance out higher prices with special promotions.